Some materials at the Saudi consulate in Istanbul where journalist Jamal Khashoggi disappeared two weeks ago have been painted over, Turkey's President Tayyip Erdoğan said on Tuesday. 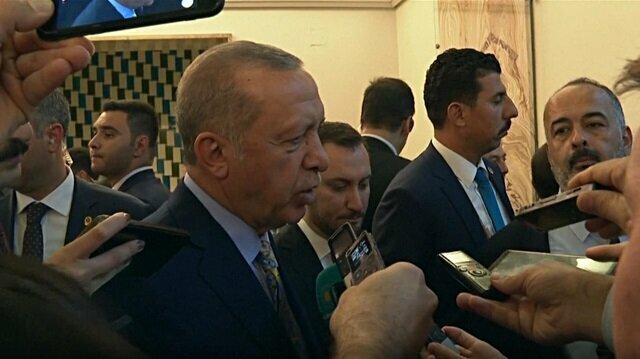 Speaking after Turkish police entered the consulate for the first time and searched the premises for nine hours, Erdoğan also told reporters that they were looking into toxic materials at the mission. "My hope is that we can reach conclusions that will give us a reasonable opinion as soon as possible, because the investigation is looking into many things such as toxic materials and those materials being removed by painting them over," Erdoğan told reporters in Ankara. Speaking after Turkish police entered the Saudi consulate in Istanbul for the first time and searched the premises for nine hours for evidence regarding Jamal Khashoggi, Turkish President Recep Tayyip Erdoğan told reporters that they were looking into toxic materials at the mission. Khashoggi, a U.S. resident and leading critic of the Saudi crown prince, vanished after entering the consulate in Istanbul on Oct. 2. Turkish officials say they believe he was murdered there and his body removed, which the Saudis strongly deny. Following two major anti-terror operations in Syria, Turkey’s president warned on Tuesday that Turkey could also take decisive steps against the PKK/YPG terrorist presence east of the Euphrates River. 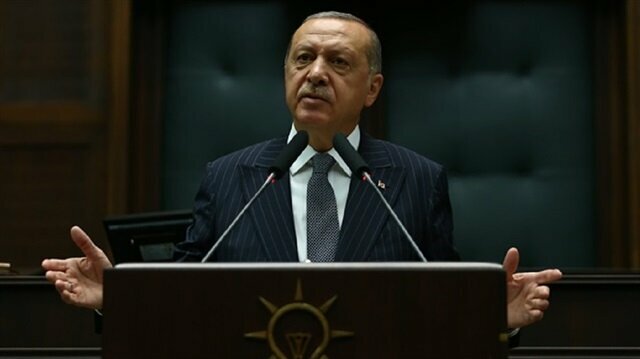 "If the necessary steps are not taken [by the U.S.] to the east of the Euphrates [against PKK/YPG] ... we will take the necessary steps at the highest level," Erdoğan told his party's parliamentary group. Erdoğan said that Turkey would take measures in the area "not only for the peace of our country but also for the people living in this region." "Up to now, Turkey has determinedly taken steps, and it will continue to do so," he added, referring to Turkey's cross-border operations in Syria since 2016 -- Operation Euphrates Shield and Operation Olive Branch -- meant to rid border areas of terrorist groups such as the PKK/PYD. In its more than 30-year terror campaign against Turkey, the PKK has taken 40,000 lives, including many women and children. The YPG is its Syrian branch. Erdoğan also said the government has prepared the first budget under Turkey's new presidential system. "We will submit the 2019 budget to parliament tomorrow," he said. After the Planning and Budget Commission debates the budget, it would then proceed to the general assembly.